Ola, one of the world’s largest ride-hailing companies, and India’s most popular, today announced its plans to enter the UK market. Ola has obtained licences to operate in South Wales and Greater Manchester, and will launch operations in South Wales within the next month. Ola says it will be the only ride-hailing app in the UK that offers passengers the option of PHVs and Black Cabs through one consumer-friendly platform, which will in future see additional transportation options incorporated for greater passenger choice. The company is working with local authorities across the UK to expand nationwide by end of 2018.Ola states that it places drivers at the heart of its approach, providing the industry’s leading commissions, resulting in higher earnings and daily payments. 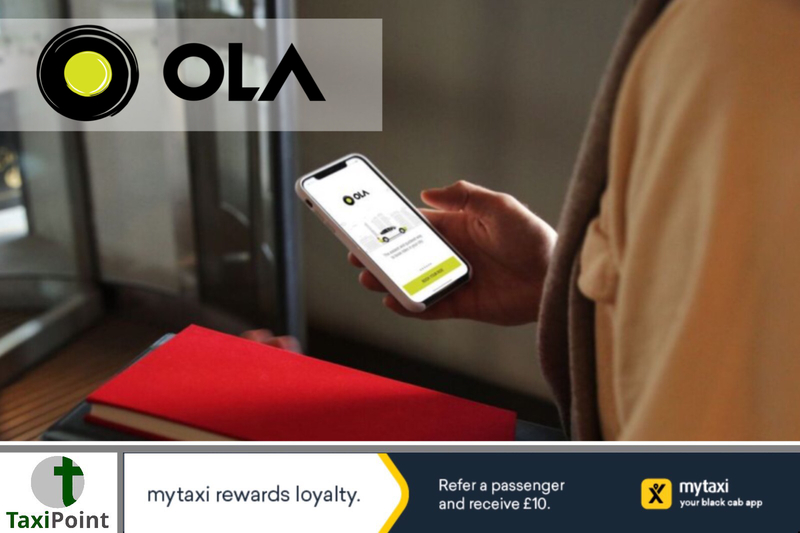 Ola seeks to lead the industry with its approach to passenger safety including DBS screened drivers and processes such as 24/7 voice support, options to share ride details with emergency contacts and in-app emergency features. Bhavish Aggarwal, Co-Founder & CEO of Ola, commented: “Ola is excited to announce its plans for the UK, one of the world’s most evolved transportation markets. The UK is a fantastic place to do business and we look forward to providing a responsible, compelling, new service that can help the country meet its ever demanding mobility needs. We look forward to our continued engagement with policymakers and regulators as we expand across the country and build a company embedded in the UK.”Ola’s entry into the UK follows its launch in Australia in February 2018, where it now operates in seven major cities. Over 40,000 drivers across Australia have registered since its launch in February and have completed millions of rides. Ola now conducts 1 billion rides each year globally, with more than 1 million drivers and 125 million customers in over 110 cities.